You can send cash or check by mail. 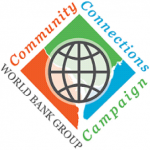 United Way of the National Capital Area, the Combined Federal Campaign, Community Connections Campaign for the World Bank Group, and Benevity Causes. A wonderful way to support KCSC and the Korean community of the Metro DC area is by participating in workplace giving program offered by the federal government and well as certain public and private sector jobs. 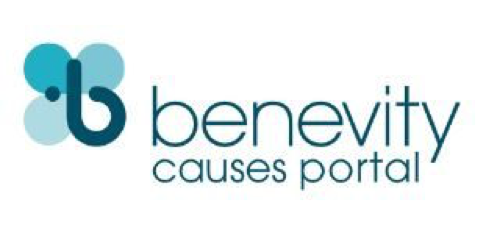 KCSC is a designated nonprofit Employees are invited to make financial contributions through United Way, the Combined Federal Campaign, the Community Connections Campaign for the World Bank Group, or Benevity Causes. Some companies provide a cash match to the employees’ donation. For example, the World Bank matches the employee donation dollar for dollar. KCSC greatly values both gifts of monetary and volunteer support from our friends in the federal government, individuals who work at the World Bank Group, corporations who partner with Benevity Causes, and all the companies that participate in the United Way. Simply select KCSC as the charity of your choice to receive one time or recurring contributions through the campaigns. It is easy and secure to donate to KCSC online. A wonderful way to support KCSC and the Korean community of the Metro DC area is by providing financial contributions through the campaigns of United Way, the Combined Federal Campaign, or the Commonwealth of Virginia Campaign. KCSC greatly values both gifts of monetary and volunteer support from our friends in the federal or local governments and from individuals who work at companies that participate in the United Way. Simply select KCSC as the charity of your choice to receive one time or recurring contributions through the campaigns. AmazonSmile is a website operated by Amazon, which provides a simple and automatic way to support Korean Community Service Center of Greater Washington every time you shop, at no cost to you or to KCSC. When you shop at smile.amazon.com, the AmazonSmile Foundation donates 0.5% of the purchase price from your eligible AmazonSmile purchases to KCSC. On your first visit to AmazonSmile (smile.amazon.com), you need to select Korean Community Service Center as the charitable organization to receive donations from eligible purchases. Once you select KCSC, every eligible purchase you make at smile.amazon.com will result in a donation. Please do sign up for AmazonSmile and select KCSC as your charitable organization of choice. Participating in the TD Bank Affinity Program is an easy and simple way to support Korean Community Service Center of Greater Washington. By participating, your bank account(s) will be allocated KCSC’s Affinity Code (A1988), linking your account to KCSC. Based on the Affinity Codes assigned to accounts, TD Bank will make a financial contribution to KCSC every year. Current TD Bank customers : Call TD Bank at T: 703-914-1910 or visit any branch and ask to have your account(s) linked to KCSC through the TD Bank Affinity Program. Be sure to mention KCSC as the organization you are supporting. KCSC’s affinity code is A1988.